Branislav Ivanovic will miss Chelsea’s first game of the season with a thigh injury, leaving Andre Villas-Boas with a defensive headache ahead of Sunday’s trip to Stoke. 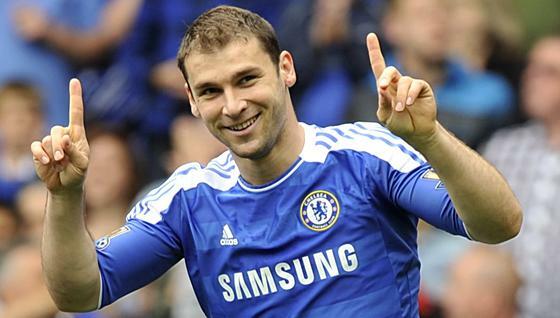 Ivanovic has not trained fully since pulling a muscle in pre-season and missed Serbia’s friendly in Russia. His absence leaves Villas-Boas low on central defensive cover against Stoke because David Luiz has not played since returning from the Copa America and Alex, who had a knee injury, only started his first warm-up game at Rangers. Slobodan Rajkovic has impressed but the Serb still has no work permit and next in line are Tomas Kalas, 18, and Nathaniel Chalobah, 16. Fernando Torres is also likely to be ruled out, John Mikel Obi is struggling after limping off at Ibrox and Daniel Sturridge is suspended. On the plus side - Frank Lampard is back in training after a sore throat.